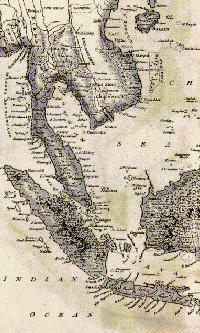 Small Malay kingdoms appeared in the 2nd or 3rd century AD. The peninsula lacked broad, extensive, fertile plains and were unable to support the pattern of densely populated classical Southeast Asian civilizations that flourished in Cambodia and Java. Nevertheless, Chinese written sources do indicate that perhaps 30 small Indianised states rose and fell in the Malay Peninsula, mostly along the east and northwestern coasts. This was a time when Indian traders and priests began traveling the maritime routes and brought with them Indian concepts of religion, government, and the arts. Over many centuries the peoples of the region, especially the royal courts, synthesised Indian and indigenous ideas - including Hinduism and Mahayana Buddhism - that shaped their political and cultural patterns. The most important of these states, Langkasuka, controlled much of northern Malaya. 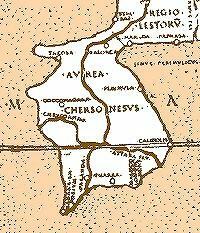 The Peninsula developed an international reputation as a source of gold - hence ithe name given to it by Ptolemy, Golden Chersonese. It also became an important source of tin and was populated by renowned seafarers. While scholars still debate over the precise location of the famed Langkasuka, archaeological evidence leaves no doubt that the modern state of Kedah (referred to in ancient Indian texts as Kadaram or Kataha) in the northwest of the Peninsula was an important centre of early Indian influence and trade. Between the 7th and 13th centuries many of these small, often prosperous peninsular maritime trading states came under the loose control of Sri Vijaya, the great Sumatra-based empire. At various times the Cambodian Angkor and Javanese Majapahit empires and the Tai Ayutthaya (Ayudhia) kingdom also claimed suzerainty in the region. There was even an military expedition by the Cholas of South India some time in the beginning of the elevent century A.D., when Rajendra Chola attacked parts of the peninsula and Sumatra. However, Hindu influence was not spread by the sword but by Indian trade. Initially, it came from traders from India, particularly the Coromandel coast in South India. 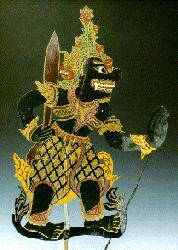 This trade was maritime and riverine, that is, confined to the coastal and riverine areas the Malay Peninsula. The centres of Indian trade were places such as Pasai, Indragiri, Melayu and Jambi in Sumatra; Kuala Muda in Kedah; and Surabaya in Java. Later, the centres of trade became powerful centres of political influence and expansion. First, there was the great Malay Buddhist Empire of Srivijaya in Sumatra, followed in the 14th century A.D. by its conqueror and successor, the Hindu Empire of Majapahit in Java. The military and political expansion of these two Empires meant also the theological expansion of Buddhism and Hinduism in the peninsula. These early states left a living legacy, traces of which can still be found in the political ideas, social structures, rituals, language, arts, and cultural practices of the Malays.